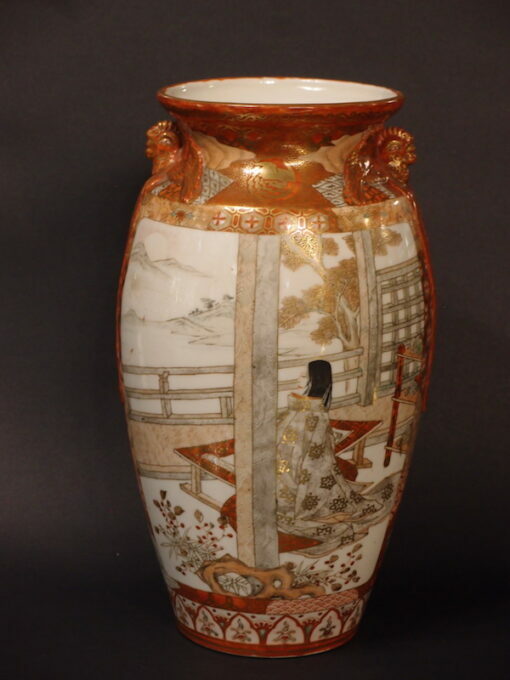 Made late in the 19th century, this Japanese, hand painted vase is of a type called Kutani, although they probably do not originate in that area. 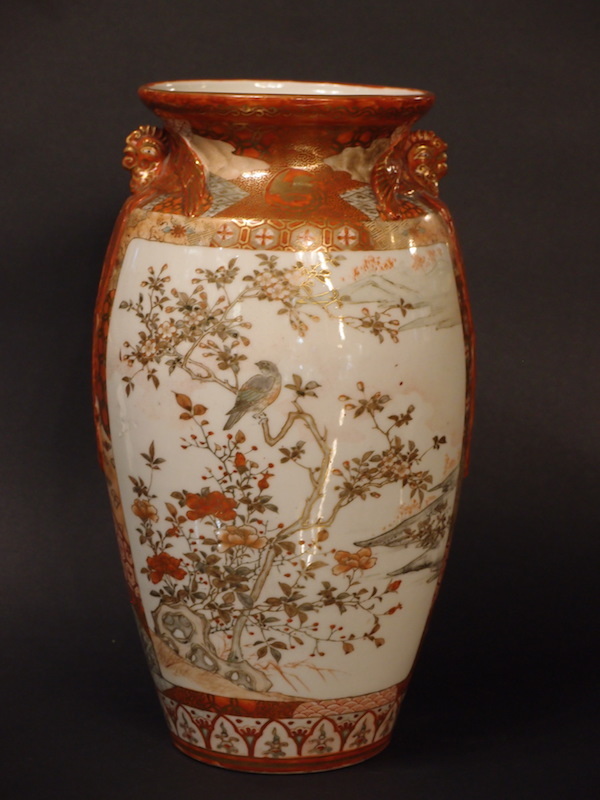 The brilliant white of the hard paste porcelain is a perfect background for the birds a bushes on the revers. The obverse features a lady seated at a low table, probably painting the distant landscape upon which she concentrates. Framing these two painting is a brocaded border in Chinese Red* enriched with gilding. The rare and interesting feature is the handles in the form of roosters, one on each side. *A red-orange very popular during the vibrantly coloured 1920s, when it was called Tango.